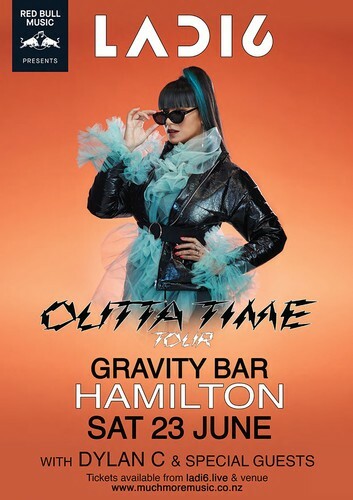 New Zealand’s queen of hip-hop and soul Ladi6 is returning to headline stages around New Zealand on a very distinct two-part 17-date Outta Time Tour this June and July. Part one begins June 1st to June 30th and will deliver 13 dates to the regions, with a full performance of the Royal Blue 3000 album with her producer Parks on DJ duties with his MPC live and homemade hand-crafted modular synth. Taking the tour to the regions was something Ladi6 specifically wanted to do. Preferring to take the music live and direct to the people and places she very rarely gets to see, Ladi6 wants to celebrate the release of her 2017 award-winning album Royal Blue 3000 with them first. Wellington native now Auckland based BaseFm DJ legend, DylanC, will join Ladi6 and Parks who hope to also add some local talent from each town to the line-up as word gets out.